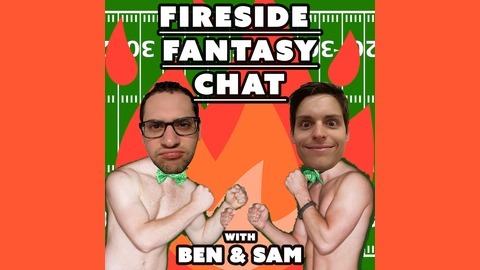 The Fireside Fantasy Chat Podcast makes fun of fantasy football obsession by focusing on the SUPERFRIENDS league - a real-life version of FX's 'The League'. Meanness, melancholy, and mayhem ensue as Ben & Sam tear each other and the rest of the league apart. The battlefield is set yet again as the League enters its final destination. 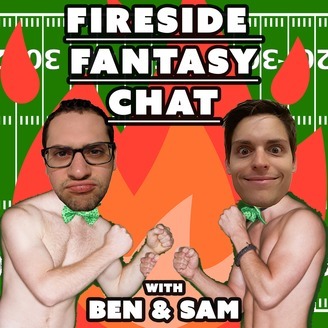 Two teams hope to cancel one last L and shine in victory…and one happens to be a top-tier FFC host. It’s time for Szeperbowl XII. Make sure to subscribe on iTunes, Stitcher, Google Play, or wherever you listen to podcasts so you never miss an episode! We would love if you could ‘Like’ and 'Review' us on Facebook!! Check out our new website for more episodes! And please please please fill out our listener survey!